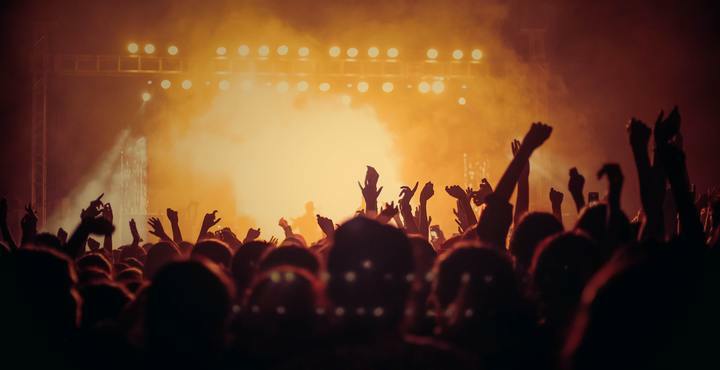 Unlike Bristol, London, Manchester or any other major city around the UK with a thriving music scene, the area of South Devon and its towns and cities are not entirely overrun with live music venues. Unfortunately, this means that there is only a certain amount of gigs that can take place at any one time. Additionally, not being a traditional stopping point for bands that are touring the UK, South Devon can often be missed off the list with Bristol being the south-westerly most point of most touring artists. That said, there are a number of positives that have come from this geographical plight, with local promoters stepping up to the plate to provide the people of South Devon with a fantastic music scene that allows local artists to thrive, without the necessity of travelling to far-flung cities. Whether you’re based in South Devon and the surrounding area or looking to visit the region with a group of friends and family, then our large party hotel in Devon will provide the perfect location for basing yourself for any length of time. If you want to head out and experience some of the fantastic live music that South Devon has to offer, then we’d suggest checking out these venues as they always have fantastic artists and a great atmosphere! The Phoenix is a multipurpose arts and performance venue that caters to live music, performance, dance, film and art. It is centred around a vibrant café bar with a variety of rooms and facilities available. The venue hosts hundreds of events each year and helps to nurture the thriving creative arts scene in and around Exeter by hosting workshops and events with their Creative Hub which offer advice and networking opportunities. Opened in 1991 and over a thousand bands later, the venue and its staff are old hands when it comes to putting on fantastic live music shows for their visitors. With a number of gigs that happen throughout the week, the Cavern continues to shine through as one of the best places to see live music in the South Devon area, and one that promotes new and emerging artists. The suitably named Plymouth venue The Hub is exactly what its title suggests. A key venue in Plymouth’s music scene and responsible for putting on a fantastic array of club nights. Ranging from indie-rock to reggae to electronic music, the selection is varied and of an extremely high calibre. A great venue that consistently puts on great shows! Continually hosting an array of live music events, The Junction is essentially a live music focused pub with an unbelievable track record of getting some big names performing there. They succeed in finding a fantastic mix of local and national artists to play, with an exciting atmosphere and great beer always on the bill. Describing itself as the home of underground music in Torbay, the Attic is a club with a great history of supporting local event promoters and DJs. The Attic is somewhere for people to have a good time, let their hair down and enjoy a great selection of music. If you’re heading to Torquay and want to dance, this place is a must! Located on Torquay’s Harbourside, The Foundry is a nightclub and multipurpose event space. The club is part of a recently refurbished site which features multiple venues and shares its home with the Attic, mentioned above. The venue’s aim is to bring a series of world-class events to the people of Torquay in an attempt to reignite the live music scene. A larger space that offers a wide variety of events, from music to sport to comedy, the Pavilions is a top-notch establishment in South Devon. The venue also features an ice rink, therefore, is perfectly suited to an evening out, either with the family or as a couple. Regularly hosting big-name acts, Plymouth Pavilions will offer a night to remember! If you’ve had the chance to visit any of these venues, we’d love to know who you saw! Maybe a big name act, or a new band before they were famous! Get in touch on Twitter and Facebook!